This photograph shows inmates J.W. 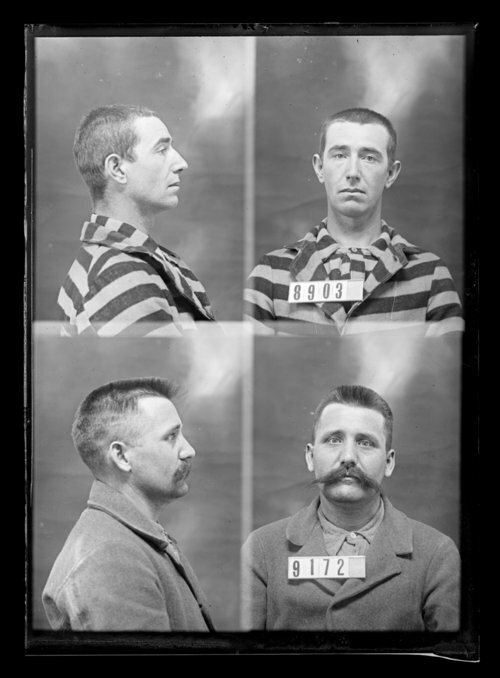 Scroggins, prisoner number 9172, and Charles Curtis, prisoner number 8903. J.W. Scroggins, was received at the Kansas State Penitentiary on December 16, 1899 from Logan County, Oklahoma for burglary. Inmate Charles Curtis was received at the penitentiary on April 21, 1899 from Mitchell County, Kansas for larceny.